Does it Matter WHERE you buy your new (or used) RV? and… What you SHOULD look for when evaluating that rig! Important note: My comments in the “Where to buy” video are based upon the assumption you purchase from a dealer. I’ll admit right up front, I prefer buying from dealers. This has NOTHING to do with the fact that I’m now working with one (in Wyoming). When I purchased my first two used Class C motorhomes about 12 years ago, I bought from dealers. Why? A dealer has the obligation (at the least the HONEST ONES DO) to inspect the RV before they put it up for sale. They will also share that report with you – showing what was wrong with it when they brought it in on trade. They will also show you what they fixed – and what they left for you to deal with. A good negotiator (hopefully YOU – or you can always reach out to ME) can not only get the price down to a point where its a “great deal”, you may get the dealer (on a used camper) to toss in a 90 day extended service contract. While these contracts are NOT a full warranty, they WILL cover components (hot water heaters, slide motors, landing gear, refrigerators, a/c, etc…) and this can be VERY important to YOU as you drive off with your used RV – and if you’re buying new, extended service contracts that extend coverage out to as much as 7 years are well worth the cost (and if you reach out to me – I can save you some real money on one of these contracts. If you buy from a “wholesaler” located near many of the factories in Michigan & Indiana, you may get a “teaser” price, but one BIG piece missing will be the ongoing service and support you will WANT and need from your local dealer. If you buy from a private party, YOU the buyer assume virtually all the risk. The seller is not obligated to know if there is anything wrong with the RV (roof issues, black mold, etc…), so the responsibility is ENTIRELY yours to insure you’re getting a good rig. RV Trader is the #1 site through which used RV’s are now sold. If you’re really lucky, you’ll find a rig that already has an extended service contract applied to it for sale – and then you’ll have greater confidence that you have some level of protection when you drive off after closing the sale. Is the rig you’re looking at WELL BUILT? any refinements to the frame construction? how will the rig drive off-road? do they use shocks on the axles? does it have tires or china bombs? will the countertops hold up? AND… Are you willing to pay for a unit that attends to all or much of the above? Some of the best rigs I’ve seen are NOT the most expensive out there, but they’re also not trying to hit a budget “price point”. 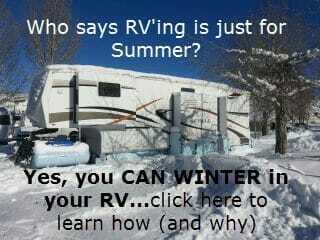 There are several other posts in this How to Buy a RV series. Be sure to check them out HERE. Part 5 – RV LOANS can be found HERE. 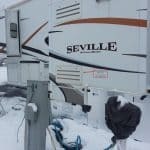 Additional resources you may wish to consider include exploring the value of an Extended Service Contract and how to prepare for winter conditions if you live in your RV where winters get COLD! As always… THANKS for visiting… and COME BACK SOON… y’hear? Please DO leave comments below and SUBSCRIBE to us using the box in the upper right corner! Oh, and if you’re looking for great prices on some of my own choices for accessories, click the image below! Thanks for sharing Robert. Enjoy the lifestyle. Can you name some brands of class A @ C that have the qualities you mentioned? Alan, in your video, you mentioned you have credit cards that give you 6% on food and 3% on gas. Could you please tell me the names of those credit cards. Thanks. We are learning a lot from your videos. Have not yet purchased. Is forest river on your “good” list of manufacturers? Any suggestions on manufacturers would be appreciated. I’m not sure what you are saying about the chassie. Are you saying look for one that is customized from Lippert? Also how do i know if storage area and slide out are insulated correctly? You will not always find a customized chassis, infact, my top recommendations Outdoors RV and Arctic Fox use the Northwood chassis (and it IS custom). As to storage and slide insulation – to date, I’ve found FEW manufacturers I’d ever buy from – in addition to the 2 I already named, I’d consider Augusta and Villano. I’m always ‘on the lookout’ for others that impress me for the money. Glacier Peak (Outdoors RV) is about to release a fifth wheel that will retail for less than $75k. that will have everything I’d ever want in a fifth wheel. Thanks so much for answering all my questions I have today. I’m learning alot. Alan, So I looked at the trailers you recommended. I decided on The Northwood Artic fox. However, there are no dealers near me. The closes one is 180 miles away. The other thing is I have been looking at my tow capacity of my vehicles. I have 2008 Buick enclave GCWR 9,700lb tow weight 4,500lb. Also have honda ridgeline tow capacity of 5000lb. All the trailers i see are heavier than that. Not sure how to determine what trailer I can tow. David, Lets take a step back and I’m going to ask you a couple of questions I’d ask if you were here on my sales lot in Wyoming – 1) What is your intended use? That is – do you plan to use it 3-5 weekends/ year? extended stays of a week or two? 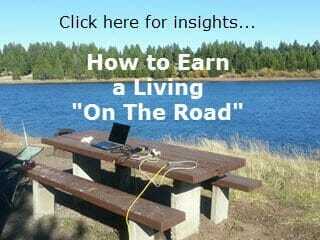 live in it full time? 2) How many folks will be staying in it? Are there kids? 3) Do you need bunk beds? 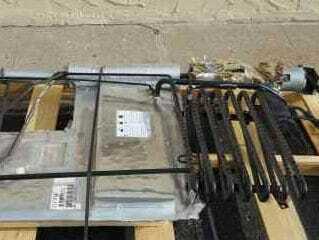 4) Will you be using the trailer in temperatures that slip well below freezing? I came across your video series on YouTube the other day. Thanks for providing info that’s to the point. -For the foreseeable future (~5 yr), what we get will be used on mostly weekend/long weekend junkets, plus 2-3 weeks a summer. After the last kid finishes HS, it might be a different story. 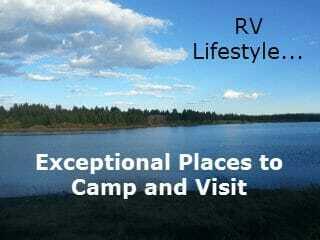 -We would be spending some of that vacation time in RV campgrounds, but one of our other ambitions is to spend some 2-4 day stretches in state and national parks. I’ve already noted where the latter campgrounds tend to have size restrictions. -One kid, nearly a teenager (so figure adult-sized sleeping bunk), so most likely is “party of three”. -Home base is North FL (~50 miles north of the citrus line); although we see a a couple of overnight hard freezes a year, we would not be taking this thing into hard winter climates for any extended periods. -Our current “large” (haha) vehicle is a minivan with a stated tow capacity of 3500 lbs and over 90K miles. I realized quickly that outside of the smallest of trailers, towing ain’t happening with what we have at present. The game plan was to unload the minivan in another ~2 yr, once older kid finished college. Although I had been thinking “smaller crossover SUV” for a replacement, that was before we considered the RV thing. DH had talked off and on about getting a pickup truck to facilitate one of his hobbies, so we could meet both sets of needs with the right truck. Q1:Would we be way off base by considering (eg) a suitably equipped Ford F-150, Dodge Ram 1500, or GMC Sierra 1500? Follow-up Q:What should we look for in a “tow package”? Our first round or 2 of looking had us leaning towards a smaller (21-25′) Class C motor home, but once I encountered your video series (and considered the timetable for vehicle replacement), I am intrigued by the thought of a smaller fifth wheel (<25') that could be towed by the (not yet purchased) pickup. In that size category, though, there doesn't seem to be that much. I suspect I'm missing something. Re a "local" dealer, there's one in our town, and their reputation is mixed. The dealerships become more numerous the farther south you go (several are within 45 minutes); one of the largest RV dealerships in the country is about 2 hours' drive away. Q2: Could you possibly steer me in the direction of reliable manufacturers that make things in this category? P.S. Science teacher? What subject, if I may ask? Given your current vehicle, if its going to be your tow vehicle – even for a day – you have to consider its limitations. So, if you want to get ‘on the road’ right away, you’ll have to look for ultra small / light to accommodate its capacity to tow. If we open the world to a 1/2 ton truck, I’d encourage you to look at the Jayco bunk-house travel trailers. Since your needs are about to change, buy a used one, from 2009-2012, get it at the right price, then sell it when the last kid leaves high school. For yourselves, only the lightest (read: most cheesy produced) 5th wheels can really be towed by a 1/2 ton, hence my strong encouragement to go with a 3/4 ton DIESEL – it will pull a 5th wheel and at the moment, my nod (likely) goes to the glacier peak I’ve written about on my site. Did you see my preview of that 5th wheel? I think I may have skimmed over the post on the GP initially. I went back to read it and…wow. Info is duly filed for Future Reference. 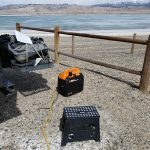 So Jayco seems to be a relatively decent manufacturer when it comes to towables? Besides Forest River (and its octopus-like subsidiaries), are there other manufacturers we should steer clear of? Do you recommend a trial run or 2 in a rental unit before purchasing? Or is that more trouble than it’s worth, and one is better off taking the plunge with a gently used TT? Hi Alan. Outdoors RV or Arctic Fox…is one better? I plan to be on as many dirt roads as will allow and will be in below freezing from time to tome. Also…what is the max tow weight you would recommend for my half ton Ford ecoboost rated for 9600 tow capacity and 1460 payload. I will be mostly full time with many mountains to climb. I am considering the Arctic Fox 25R or the Timber Ridge 24RKS. Any thoughts would be greatly appreciated. Thanks Alan, If I were to decide to buy a lightweight fifth wheel (6600 lbs dry)can I get away with 1135 lbs dry pin weight? Pin weight seems to be my restriction at this point with a fifth wheel. I’ve been looking at 5th wheel toy haulers in the 36-43 ft range but I’m not sure who makes a good quality rig. I’m also confused as to the size truck I should buy. The dealers I’ve spoken to have said a 1 ton vehicle would be sufficient but none have specified a brand. Any advice would be appreciated. Thank you. Thank you Alan, I’ll check it out. 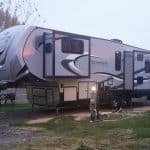 I’ve been looking at the Heartland Road Warrior 5th wheel and am wondering how it compares to the fuzion. Any insight would be helpful. Thanks again. Thanks for reaching out. There are only 2 lines of travel trailers I truly respect and both are sold only in the western states. The two companies are Outdoors RV (makers of Creek Side and Timber Ridge (and others that move up in price) and Arctic Fox. Both are manufactured in Oregon. Their dealer networks are all west of Denver Colorado and Casper Wyoming. The dealership I work with in Casper handles Outdoors RV, which frankly is the better of the two companies. Both use Northwood Mfg. chassis’, strong 5300# axles (except 3500# on the lightest Creek Side models), tandem axles, shocks on the axles, metal plates over the tires (to prevent interior damage in the event of a blowout), real tires!! (goodyear), 2 inch thick solid foam insulation THROUGHOUT (including the slides!) and much more in the way of full time living quality. What kind of vehicle do you have? (These trailers are NOT lightweight!!) 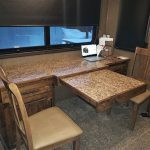 I have an article on my website (RVAcrossAmerica.net) that details one of their 5th wheels (its one I’m looking at personally as my next 5th wheel) – and many of the design and engineering features built into their Glacier Peak 5th wheels are also built into the travel trailers. I know you mentioned you looked at Airstream (good stuff, but no slides), you also commented upon the price. 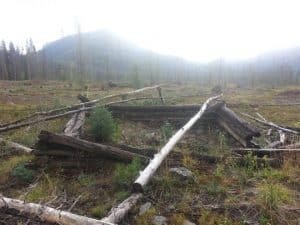 The Timber Ridge trailers price in the mid-40’s and up, but, I happen to have a couple of 2016 (brand new) Timber Ridges that I can work with you on the pricing. Here is a link to the model: http://www.stalkupsrv.com/new_vehicle_detail.asp?veh=486653&pov=4737260 It is called a 230RBI, but the real length (bumper to hitch) is about 28 ft. The weight (dry) is 6450 pounds, so you’d need a truck / SUV capable of pulling about 8000 pounds (or just under). A couple of additional thoughts – I like these trailers because they make custom chassis’ for each floor plan (means they pull better and have larger (80 gallon) water tanks; they are TRUE 4 season trailers (which helps a lot in BOTH warm and cold weather); each trailer is checked before it leaves the factory (most companies only spot check); and the cabinetry is installed in a way that it will virtually NEVER come free from its mountings! Thanks for the information I received on various topics of Motorhomes, Fifth Wheels and Tow Trailers. I have been researching buying a motorhome for sometime, (2 years)and I have narrowed it down to the Winnebago Via 25t. I chose this unit because it is 26th feet in length,my driveway is narrow and curved, is a Mercedes Diesel, seems well built and the best used pricing seems to be model year 2014. We plan to use it during the week get-away, and the occasional extended trip.I can wait until one comes along in the time frame you suggested on you video. Retirement doesn’t start until June 2017. Any suggestions? Thanks for all of the great info. I’m a total newbie with ADD and the choices in the Class B market are making my head spin. 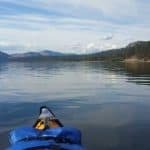 My wife and I plan on doing long weekends, and a few weeks a year. 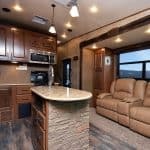 Would you be kind enough to suggest the top 2 Makers in this market, and any tips/suggestions regarding this Class of RV? Garret, I’m no expert on Class B’s. I’m a far greater fan of towables (5th wheels and travel trailers). That said, I have a friend (Marlon Knox) – you can see about friending him on Facebook (he’s based out of South Florida (Ft Lauderdale?) and he IS very knowledgeable about Class B’s. Just found your site after watching your Youtube video on what to look for when buying an RV. I am retiring in 2 years (maybe sooner?) and want to be full time. 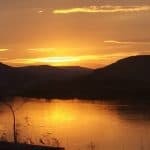 I am a widow retiring from teaching and will be traveling by myself. 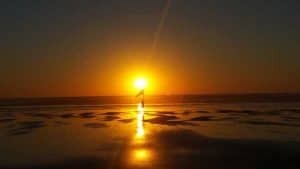 I am tired of all my stuff and want to be able to be free to travel and see as much of our country as possible. I have been looking at Class C motorhomes 24-28 ft. because of the ease of driving. What are your thoughts on this? I know you are an expert on TTs, but would appreciate any input you might give me. Thanks so much. Allen, thanks for all the great info. I have a 5.4ltr Ford Expedition, and looking for a lite weight TT for weekend trips. Live in NC. What do you recommend? Local dealers only carry Jayco, Outback, Rockwood, Dutchmen. Which of these would you buy? Hey Ken, Of those you listed, I’d look at Jayco – particularly a fiberglass model on the Jay Flight or WhiteHawk series. If you’re willing to raise your budget (a little) *and travel* – Outdoors RV will not cost much more BUT your nearest dealers are out west. (I work for such a dealer in Casper, Wy and we have had folks travel from Ga. and NY to get these trailers). If you do buy locally, please feel free to contact me for a great deal on an extended service contract. Ok. Thank you. What’s the name of your dealership? I can tell you from recent, personal experience buying an Ambition or LUXE would not be in anyone’s best interest. We had an Ambition built (took 8 months) and we had to walk away from taking delivery of it. There was absolutely NO quality control on a 5th wheel that costs over 100k….ludicrous!!!! The coaches look stunning and good materials are used, but that’s it. There was not even a fire extinguisher installed, yet they put the RVIA seal on their units. Plus there was no seal around the gas line coming from the hot water heater…another HUGE safety issue that could cost someone their life. There were areas around front and rear caps that had exposed wires where water could possibly get into the unit, whole in underbelly was found which could allow for who knows what to get inside the unit, sweep/gasket issues around slides didn’t operate properly and water could possibly intrude into the coach, paid for full body paint and the top of front cap was not completely painted, there were items on buyers order that were not installed. Received a detailed, lengthy report from an NRVIA inspector we hired, but not all was bad…just very detailed. Yes, hired an inspector to inspect a brand new, off the line 5th wheel because owners were and still are having many issues with the Ambition and LUXE. I’ve yet to speak to one owner that has not regretted buying one. So glad to have hired an NRVIA inspector. He left The RV Factory scratching his head. Once we left The RV Factory, felt a big sigh of relief! Wow. This is very damming. A couple of thoughts – 1) I would encourage you to publish here the NRVIA inspector’s report (redact any personal info). This will add voracity to your report above. 2) As I work for a dealer, the only 3 manufacturers I’ve seen that produce a superior product are Outdoors RV (but their longest 5th wheel is 35ft, so knowing you wanted a Luxe, you’re not a likely candidate for it), Arctic Fox and DRV Mobile Suites. (Full disclosure: the dealer I work for carries 2 of the 3 I listed and I personally am buying a Glacier Peak by Outdoors RV – see my other posts, one that specifically compares the Glacier Peak to an Ambition.) Also – FYI – while I LOVE longer trailers, they’re GREAT to live in, out here in the Rockies, I’ve learned that anything over 35 ft will start to seriously limit you in your choice of campsites (particularly National Forest Service, Bureau of Land Management, and National Parks) and even some of the roads you can travel. (Just an “FYI”). Have you selected another trailer to settle into? Hi Alan, what do you think of Keystone Everest? 2007, would you recommend? I came across you when searching for “where to buy an RV”. My husband and I are planning to buy a 5th wheel in a couple years once he retires and will be living in it full time. Traveling from spring through fall and wintering in FL. Possibly using it in cold temps but probably not very often. We live in Ohio and are new to this whole rv thing. We are currently researching everything and are overwhelmed. I saw that you recommend Outdoors RV & Arctic Fox but they are out west. Where would we get service if needed? Are there any others you would recommend that are high quality? We would buy used to save money but not something real old..maybe within 5 yrs or so. 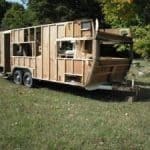 Tentative budget for truck and camper are approx. $100k. Any information you can give us would be helpful. Thanks for reaching out. First, I must say that two years in the RV industry is an eternity, so my recommendations may change from now until then. At this time, as you noted, Outdoors RV and Arctic Fox are the two quality leaders in the industry – at least for a reasonable cost. If your budget is unlimited, there are other options. That said, I’ve had several folks travel out west to buy Outdoors RV travel trailers and fifth wheels from me and they’ve never had an issue with service. Outdoors RV (and Arctic Fox) will work with any legitimate RV service center or mobile service guy to do warranty work on your trailer. They are very available to assist the service center in diagnosing an issue. For $100k – if you were buying today, I’d recommend a 2011 or 2012 Ford F250 diesel, long bed and a Glacier Peak 30RLS (the one I’ve got) or the 30RKS. Used trailers are hard to come by from them, but you can obtain a new one and a F250 and meet your budget. When the time comes, please feel free to check in with me and I will try to be of greater assistance. Just stumbled across your page today and watched some of your videos. Good work. 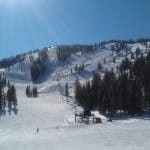 I also like that you are skiing all winter, someday maybe… I saw in more than one place that you are not a fan of Forest River. I can’t disagree as I am not that versed in trailers, but wanted to comment that we purchased a 2006 Sierra about 2 years ago. Great starter RV, bought to see if we like RVing. Although we have had a couple issues that got us to know a local repair shop very well, and they took great care of me even after an entire season – found a roof leak, they fixed it but didn’t fix it all the way, came back 6+ months later and they fixed it for good. The leak was due to a cut in the roof probably from a branch. Anyway, other than that, the 5th wheel has been great. Well built, solid when driving, comfortable and most important it was and is very clean. 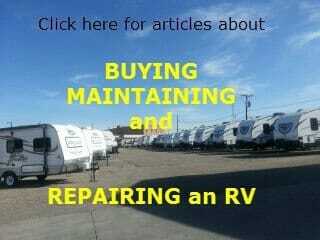 RV’s typically sit more than they are used so buying used is similar to buying new. We hope to update in the near future but its hard when its paid for and works very very well. The next one will be usable in the winter so we can stay at a ski area for a week or so and have a place to stay. I’m sure we could use this one, but haven’t put that much thought into all the updates necessary to insure it doesn’t freeze. David, I can’t speak to what FR was doing in 2006, its possible the product was better then. Its also likely the first owner delt with all the issues FR owners seem to encounter. Having been in RV sales & consulting for 4 years now, I’ve seen the “inner guts” of these things – and many aren’t pretty. Many manufacturers take short-cuts that would result in law suits if it happened with a car or a truck. Recently, I saw failures in plumbing lines in a FR and how cheap the materials are that they use & the complete lack of insulation in one of their surveyor 5th wheels – one that claims to be good for cold weather use. When people have issues with FR, I have also seen two consistent issues – it takes FR forever to ship parts & they are not friendly to paying warranty claims. Sorry to be so negative, but its what I’m seeing. Hi.. single senior female with a subaru forrester that is looking for a tt less than 24ft for full time rv life, mostly boondocking.. looked at a lance model but still looking.. unsure if new or used to purchase yet.. thanks for any info you can give..